Note: Only 1 partner works at a time. Partner 1 does part A, then partner 2 does part A, then partner 1 does part B, then partner 2 does part B. Continue to rotate until time expires. Score is total rounds completed by the team. Join Coach Kellen today to watch Rugby for this month’s OTB! 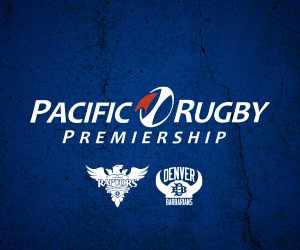 The Glendale Raptors are taking on the Denver Barbarians!